Posted by With Love Nikki in Cake Decorating Tips & Tricks on January 26, 2016 . 0 Comments. This Guide has been such a valuable asset to me - it takes the brain work out of so many calculations freeing your mind up for those fantastic cake idea's. 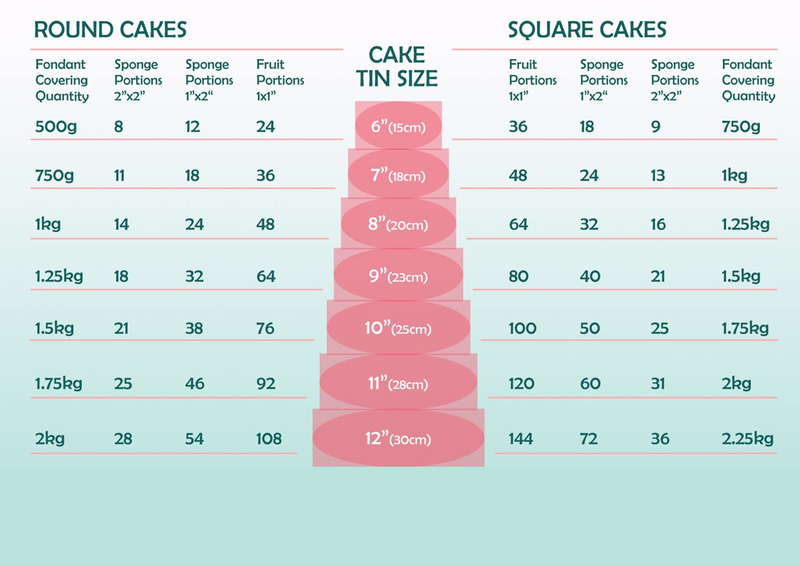 It takes the stress out of portion sizing and fondant amounts for covering all cake sizes. Feel free to print it off - Go on stick it on your wall - Then make yourself a cuppa warm stuff.